Why work with us? We’re proud of our reputation, so we work hard to make sure we continue to earn our customers’ good will and loyalty. You’ll notice the difference when you design and install your custom outdoor living space with our team. Take a look at our work and read a few of the testimonials our customers have shared. We know how important your home is to you, so we want you to feel comfortable. At Custom Outdoor Concepts, you are our number one priority. Your dreams, our expertise: together we can create the spectacular outdoor space you’ve always wanted. And because we work with you every step of the way, from the first conversation to the very last detail, you can feel confident that you’re getting a unique, beautiful space you’ll love. What makes our work distinctive? We get it done right, right now. From custom garages to gourmet kitchens, a multi-layered deck to a relaxing patio, your custom design will be installed by our expert team. Every detail matters, so we make sure nothing is overlooked. Whether you already know exactly what you want your outdoor living space to include or you want to start exploring your options, we are here to help you create a beautiful custom project that’s perfect for you. We do Design & Outdoor Building Construction. We do not offer repairs. We are Licensed & Insured with local entities as well as the State Board of Contractors in MS. We believe in honest and quality workmanship. We keep a clean work area and respect the owners property. One of our goals is to make our structures blend with your home or business, to improve its value. We do home remodeling, concrete, enclosures, kitchen remodeling, bath remodeling, patio enclosure, sunrooms, carports, VA SAH required remodels, awnings, ect. Gulf Coast Patio & Screen is dedicated to bringing you the best in quality craftsmanship and customer service. We have been serving the entire Gulf Coast for over 24 years. We offer Patio Covers & Deck Covers, Screen Rooms, Screen Enclosures, Patio Enclosures, Patio Rooms, Canvas Awnings, Canopies, Siding, Hurricane Shutters, Aluminum Carports, Remodeling, Room Additions, Decks, Carports, Boat & RV Covers, Swimming Pool Enclosures, & Sunrooms. We are positive that you will find one of these low cost solutions perfect for your home improvement needs. 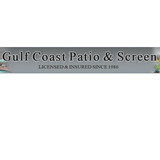 Gulf Coast Patio & Screen is locally owned and operated right here on the Mississippi Gulf Coast. We only use and construct products that meet the 140mph wind code designated by Dade County Florida. 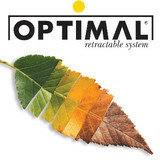 We are confident that our product can stand up to the worst nature has to offer. We are ready to help you decide what is best for your home. Please browse through our website and when you are ready call for your Free on site project consultation. Referrals upon request. Leaders in waterproofing and protective coatings. 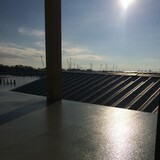 Waterproofing specialists serving South Louisiana for 25+ years. Family owned and operated! Our patented product, Water Proof Custom Aluminum Retractable Shade System. Commercials or Residential. Welcome to the Leyrer Fence and Deck web site. We have served the Metro New Orleans area as well as all of South Louisiana and South Mississippi for over 20 years. We specialize in custom wooden and aluminum fences, wood and composite decking, and beautiful wooden arbors. We can design and build all your outdoor projects. If you need an outdoor kitchen area for friends and family, or a pergola or arbor as the focal point of your landscaping, or if you are just seeking shade on a hot summer day, we can build it and build it to last. Please take a look at our photo gallery and call us for a free estimate. Since 1986, Fabritech Incorporated has been dedicated to manufacturing the highest quality awnings and canvas products in New Orleans and the surrounding areas. We specialize in producing custom fabric awnings, canopies, patio covers, and retractable awning systems. We also offer a variety of outdoor curtains, drapes, and shades. We feature a complete canvas and metal fabrication shop that has the capability of producing a wide variety of custom specialty items in addition to our standard products. Add curb appeal and lasting quality to any home or business with masonry. Whether commercial or residential, we can bring your vision to life. Our team of experienced masonry professionals is here to see your project through from concept to completion. From brick storefronts to stone floors and outdoor kitchens, we can bring the beauty of masonry to any home or business! CJ Delery Enterprises is privately owned and operated by the Delery Family since 1975. We are an industry leader in the manufacturing and installing of unique home and commercial building services in the Southeast. We operate in a differentiated market where innovation, product development, and determination drive our company. 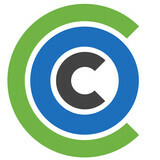 We are constantly changing the landscape of building material design. Our newest product, The Del Port Insulated panel, is the lasted example of such innovation. Customer Satisfaction is our number one priority. It is not just something we talk about; it is what we live by. Our industry best 20 Year Warrant on all installed projects can attest to that. Our full-time workforce of installers number one priority is professionalism when it comes to craftsmanship and service. Our Driving Force – At a very young age, C. J. Delery became recognized as a household name in the aluminum metal extrusion and fabrication industry. With a drive for excellence, curious nature, can do attitude and hard work ethic, C. J. quickly became a leading inventor and entrepreneur. He is continually improving the manufacturing process and constantly inventing new and better ways to produce world class products. Patio Covers LLC is a local owned business is Slidell, LA and has been installing patio covers and screen rooms for the past 10 years. We are fully insured and a good standing member of the BBB and BNI. Our mission is to give our customers quality workmanship at reasonable and honest prices. When you're ready for improvements to your home or yard, call Johnny McCraney at M&M Patio. The call you make to A-1 Fence & Patio is the only call needed when it comes to putting up a new fence around your yard or adding a patio to your home. We have over 24 years of experience installing fences and patios in Louisiana, serving both commercial and residential customers. We use only high quality products to ensure that your fence will stand the test of time. We are fully insured and make purchasing a new fence or patio easy for you with our in-home financing. As a member of the American Fence Association, Inc., we remain dedicated to providing quality service to our customers. A-1 Fence & Patio can install fences, patios, screen enclosures and wood decks. Our customers benefit from our years of experience of installing home improvements that make their yards more enjoyable. Our commercial customers have been able to secure their premises with our well constructed fences. Whatever your needs may be, we can give your home or business just the finishing touch that you are looking for. Four Seasons specializes in challenging projects with experience and knowledge. We stand behind our work and only use employees who are thoroughly trained for years.vWe guarantee our craftsmanship for 10 years including a 20 year warranty on our product. We do not sublet contractors to do the work for us. We are able to produce the best quality products not only using heavier guage aluminum and copper but also the best alloys to assure no impurities. We buy 80% of all materials used cutting out unnecessary cost to the customer. When the temperature heats up in Talisheek, there’s nothing like having a deck or patio to kick back on and enjoy the warm weather. A functional deck design and patio layout is dependent on meeting your specific needs, so it's a space that needs to be created carefully. Luckily, there are professionals to handle your deck installation or patio design — hiring a Talisheek, LA deck and patio builder is your surefire ticket to creating an outdoor oasis! What services do deck and patio builders in Talisheek, LA provide? To help you choose the ideal style, configuration and materials for your deck or patio, your deck and patio contractor will survey your Talisheek, LA lot and your home to come up with a design that complements your exterior as well as being structurally sound. He or she will recommend sizes, heights and construction materials that suit your lifestyle and climate, as well as explain the best stain or finish options. Additionally, deck and patio professionals can provide insight into additional components such as outdoor kitchens, patio covers, fire pits, outdoor lighting, arbors and more. Your deck and patio professional might work closely with another Talisheek, LA lawn and landscape professional. Here are some related professionals and vendors to complement the work of decks, patios & outdoor enclosures: Landscape Architects & Landscape Designers, Garden & Landscape Supplies, Stone, Pavers & Concrete, Landscape Contractors, Building Supplies. Find a deck and patio builder in Talisheek, LA on Houzz.